It’s time for our first YOUR TURN post, where we share a “quote for thought” and ask you to share your best tips and expertise with our readers. Add your comment, and you’re automatically entered for a chance to win the book quoted below! 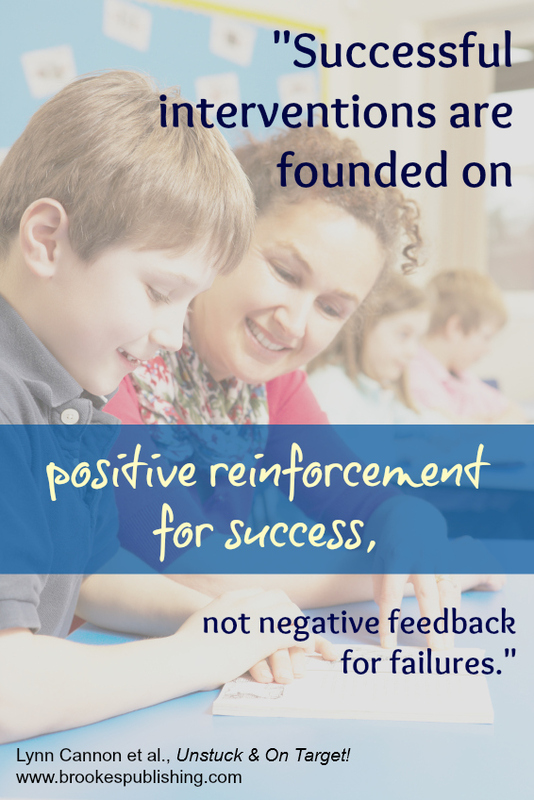 Positive reinforcement is key to keeping students motivated , engaged, and ready to build on their successes. What strategies do you use in your classroom to ensure that you’re giving your students enough positive feedback? Have you ever tried a strategy that didn’t work so well? 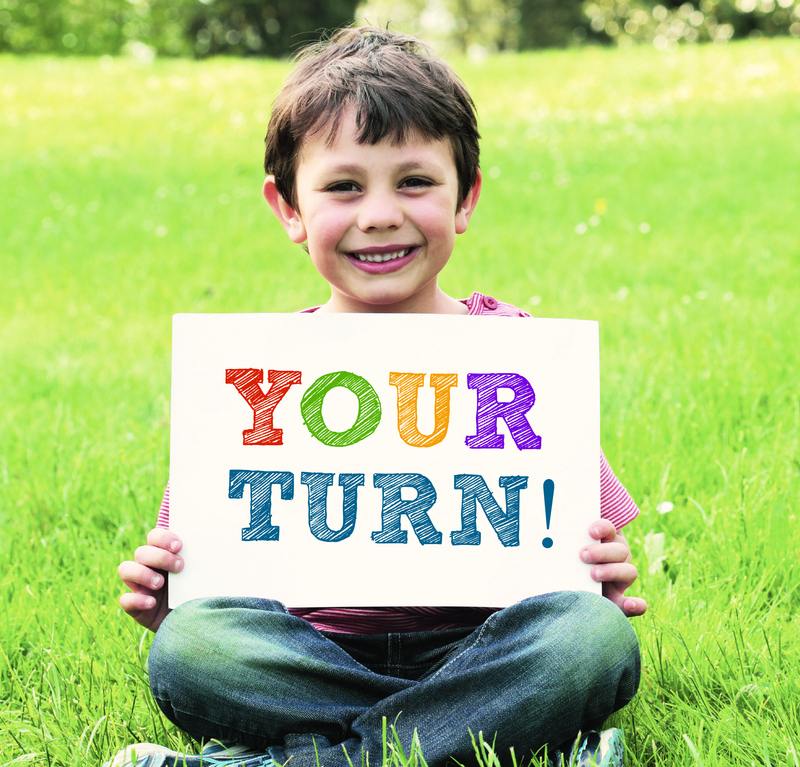 Do your students respond better to verbal feedback or tangible motivators like sticker charts? Add a comment below, and you could win a copy of the book quoted above, Unstuck & On Target! (a great resource for helping kids develop two critical executive function skills, flexibility and goal-setting). We’ll announce the winner right here on the blog on Tuesday, May 19. I’m not a teacher, but a Mom. My husband came up with a grading system for our 13 yr. old son, who has autism. He gets a 1, 2, or 3 for each class during the day. He knows exactly what each number represents. It includes behavior and work ethic. At the end of the day, they have to average a 2 or above. He then gets electronic time at home. If he has a really good week with lots of 3’s, then he might get a special reward. But, it’s random, so that he doesn’t expect it every time. He also gets tally marks for every “positive” moment or remark during the school day on that sheet as well. It’s really helped a lot. It’s not a stand alone program, but does help him to realize what he has to do and where he’s at (behaviorally) during the day. Thank you for sharing your system, Tonya–great to hear the parent perspective! I homeschooled one of my 14yr old twin boys the previous 2 yrs (Tourette syndrome + many comorbids and LDs) and because of how all the negative feedback had affected him in past yrs I made positive reinforcement a priority. The most effective methods was simply starting just below his level of ability and when he was able to whiz through it correctly I would express a “hmmm ok Mr. Smarty pants, lets see you do this one” and this improved his confidence and skills faster and he always got a kick out of it. Additionally at the end of every “school day” I told him how awesome he did in particular areas that day. Thanks, April! Sounds like this system really worked for your son. Thank you for sharing it with us. I am a paraprofessional who supports students with disabilities in some general education classrooms. One of my students has a tendency to yell, make demands, laugh, etc when there is a lecture or students presenting. The student has happy and sad faces in view. When he is inappropriate, I will point to the sad face (he knows that is how I feel when he is doing what he is doing), he will then point to the happy face, receive some positive feedback (smile, thumbs up) and get back on task.